CES 2014 Highlights: Day 4 | What Hi-Fi? We reveal our Stars of CES 2014, while Meridian marks a landmark anniversary on yet another day of highlights from this year's show in Las Vegas. 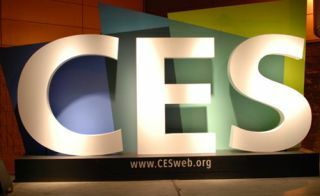 Naim, Astell & Kern and McIntosh were among the winners as we announced our Stars of CES 2014 on the fourth day of this year's show in Las Vegas. The What Hi-Fi? Sound and Vision team scoured the rooms of The Venetian Hotel to find the best audio and video products launched for 2014. Our Stars of CES are the top ten most exciting products unveiled this year, including hi-res audio players, high-end amplifiers and compact DACs. In addition to announcing our Stars of CES 2014, there were more highlights from the show floor – including a milestone anniversary for Meridian. It is 25 years since audio specialist Meridian introduced the world's first digital speaker – the D600 – and it has marked the occasion with a new launch. The new Special Edition series of DSP digital active models – also one of our Stars of CES 2014 – are the "highest-performing Meridian speaker yet". Production on the three models – the DSP8000, DSP7200 and DSP5200 – is poised to begin in February, but UK prices are yet to be confirmed. Arcam has gone back to its hi-fi roots at CES 2014 with the unveiling of a new flagship range of stereo amplifiers – led by the 200W A49 integrated at £3250. Due to go on sale in March, the A49 (above) is joined by the C49 preamplifier and the P49 power amp a month later – prices for which are to be confirmed. All three models have been designed and engineered in the UK, but are to be built in Rochester, upstate New York. Monitor Audio has unveiled its first ever amplifier – the Airstream A100. Due for release in March, the Aistream A100 can sit horizontally or vertically. The Airstream A100 will combine Monitor Audio's traditional audio expertise with eye-catching modern design and a range of wireless connectivity options. It will feature stereo RCA analogue inputs (and outputs), a digital optical audio input, a sub out and a front-mounted USB, as well as Apple AirPlay and DLNA. We first caught sight of the Sony NWZ-ZX1 Walkman at IFA 2013 in Berlin, but we can now confirm the high-resolution audio player is coming to the UK. The company revealed that the Walkman is scheduled to be released on these shores this February and is expected to come with a price tag of around £550. • whathifi.com will continue to deliver all the latest news from CES 2014 as it happens. Follow us on Twitter and Facebook to make sure you don't miss out!